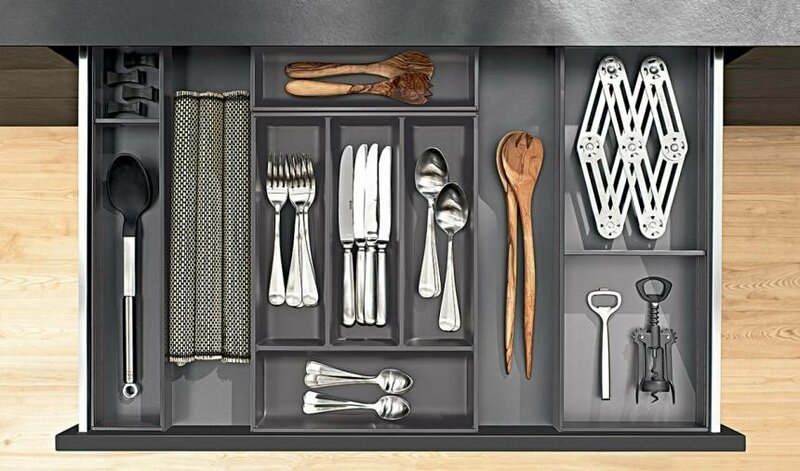 Whether your kitchen is large and spacious or tiny and cozy, organization is the key component in maximizing the functionality of the room. Below is a list of 10 “must-have” accessories to help create a practical workspace. 1. 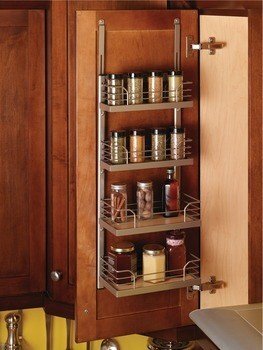 Roll-Outs Shelves: Consider upgrading standard adjustable shelves in base & tall pantry cabinets to roll-out shelves. 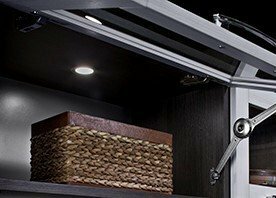 Oftentimes available in a few different depths, roll-out shelves allow you to see what’s hiding in the back of the cabinet without having to bend down or sift through everything to find what you need. 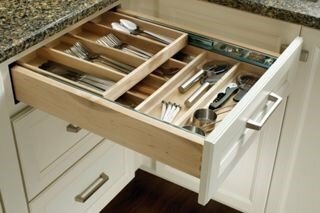 2.Utensil Dividers: Top drawers are typically catch-all’s for everyday utensils, cooking utensils, knives, & so much more. 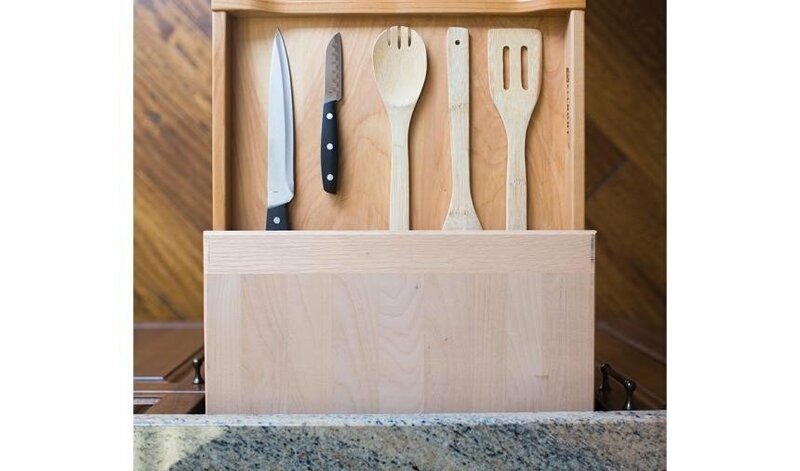 Offered in single tier or double tier, utensil dividers are a great solution for organizing your spoons, forks, knives, can openers, measuring spoons, pizza cutters, ice cream scoops, you name it. 3. 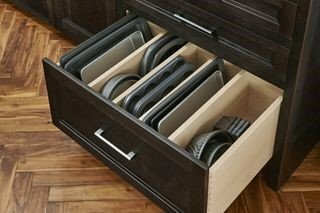 Tray Divider Storage: Cookie sheets, baking pans, cooling racks, & cutting boards are typically stored atop one another inside a cabinet, which can make it difficult and time consuming (not to mention noisy) to find the one you need when cooking. 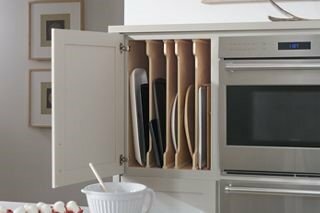 Deep drawer inserts and tray dividers can be installed in base, wall or tall cabinets, making it easier to see the library of baking pans available to you in your kitchen. 4. 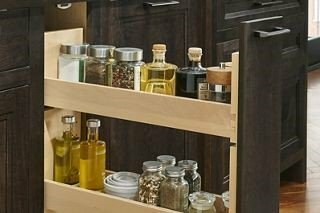 Spice Storage: Spice drawers, spice pull-outs, and spice racks installed inside the door of a wall cabinet are all great options to make cooking a breeze. Spice pull outs can also be used for oils and vinaigrettes and are ideally designed near the cooktop. 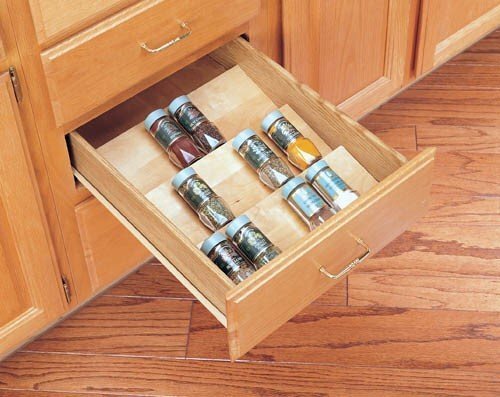 One quick note about spice-drawers – for this accessory to operate properly, all spice containers must be the same size. 5. 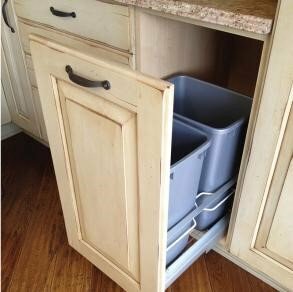 Pull-Out Waste Baskets: Waste baskets are unappealing; however, they are a necessity in a kitchen. A waste basket pull-out is a great option to conceal these unsightly bins. These units are offered in a variety of sizes and come with either a single bin or a double bin and can be used as recycling centers too. 6. 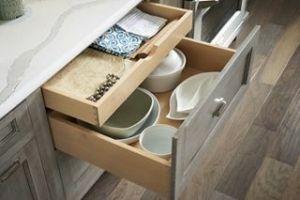 Tiered Storage: If you are seeking a clean and minimalistic design in your kitchen, but still need the practicality of drawer space, consider a drawer within a drawer. 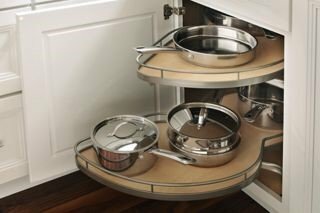 This can even be a great option for pots & pan or Tupperware storage for separating bases and lids, or platters and linens as demonstrated below. 7. 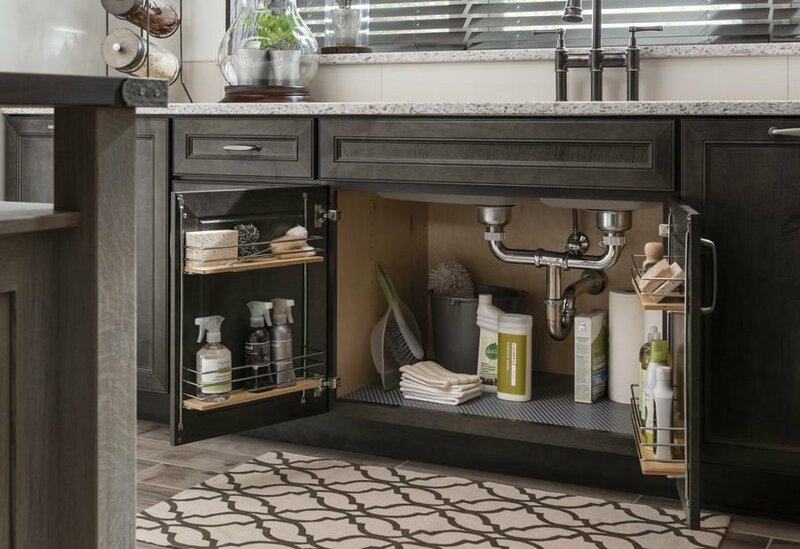 Sink Base Storage: Sink base cabinets oftentimes become the home to cleaning products like soaps, sponges, & paper towels. 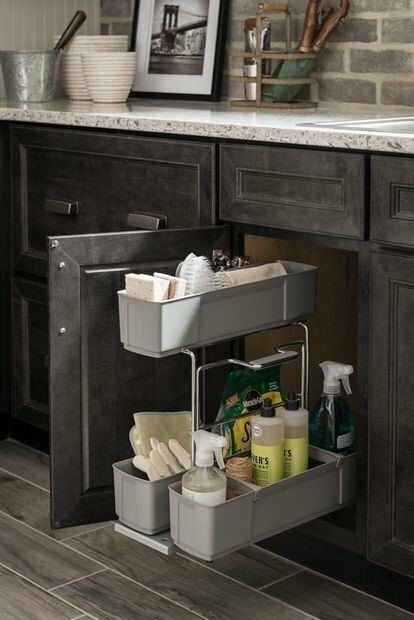 A pull-out sink caddy can make cleaning easier and help maximize storage under the sink. And if you are worried about leaks, consider using a protective liner in the bottom of the cabinet. If a small leak were to occur, the liner would catch the water and prevent it from penetrating into the base of the cabinet causing damage and frustration. 8. 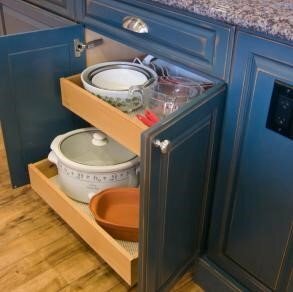 Corner Storage: In most kitchens corners are a waste of space and hard to access. 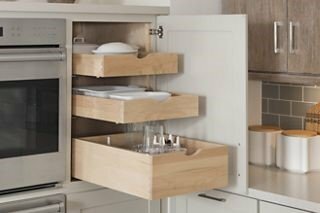 Lazy Susan’s and other innovative rotating shelving units can be installed in otherwise inconvenient corners to maximize storage space. 9. 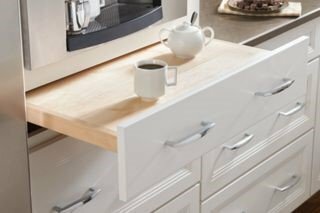 Pull-Out Surfaces: When Countertop Surface is at a minimum, pull-out cutting boards or work surfaces can be used to allow for more space when needed, but can be tucked inside a cabinet when not being used to avoid it from be obtrusive. 10. Lighting Options: While Under cabinet lighting is great for work surfaces and the overall ambiance of a room, consider using lighting inside your cabinet to make it easier to see everything. 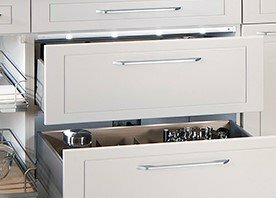 Motion-sensored strip and puck lighting can be installed inside drawers & cabinet doors and can turn on when opened and off when closed. 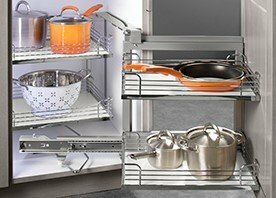 By adding a few of these innovative accessories to a kitchen, working in the space becomes easier and more enjoyable. 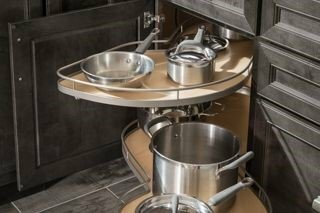 To learn more about these accessories and many others or to begin designing your kitchen today, please visit our website @ liveaco.com or give us a call today @ 317.575.9540.